Jr. NBA action swings to Biñan, Laguna this weekend as Jr. NBA/Jr. WNBA Philippines 2015 presented by Alaska selects the top players in South Luzon at the Alonte Sports Arena on February 28 and March 1, 2015. Boys and girls aged 10 to 14 will undergo vitals tests, basketball drills, skills tests, aptitude and endurance challenges and learn the Jr. NBA core values of Sportsmanship, Teamwork, a positive Attitude and Respect on Day 1. The top performers of Day 1 will return on Day 2 for more basketball drills and exercises, and take part in scrimmages that will determine the most outstanding performers of the camp. As many as 4 boys and 2 girls will be selected on Day 2 to represent the region in the Jr. NBA/Jr. WNBA National Training Camp that will be held in Manila from April 24-26. This is the second time that the NBA’s international developmental basketball program is coming to Biñan. After Biñan, the Jr. NBA/Jr. WNBA Regional Selection Camps will go to Iloilo (March 7-8), Baguio (March 14-15), Bacolod (March 21-22), Davao (March 28-29) and Manila (April 11-12). Biñan is the second regional selection camp after Puerto Princesa City where three boys and one girl were chosen on February 21 and 22 to represent that region in the National Training Camp. The selection camps and the NTC are run by Jr. NBA/Jr. WNBA Head Coach Chris Sumner assisted by Alaska Power Camp Director Jeffrey Cariaso and other Alaska coaches led by PBA legend Topex Robinson. The Jr. NBA/Jr. WNBA National Training Camp will culminate with the selection of 10 Jr. NBA and five Jr. WNBA All-Stars who will embark on a unique, overseas NBA experience together with fellow Jr. NBA All-Stars from Southeast Asia. The program is free and open to boys and girls between 10 and 14 years old. Registration is now ongoing through the Jr. NBA/Jr. WNBA event website www.jrnba.asia/philippines, where full program terms and conditions can be found. Fans can follow Jr. NBA/Jr. WNBA on Facebook atwww.facebook.com/jrnbaphilippines. For all things NBA, visit www.nba.com and follow us on Facebook (www.facebook.com/philsnba) and Twitter (www.twitter.com/nba_philippines). 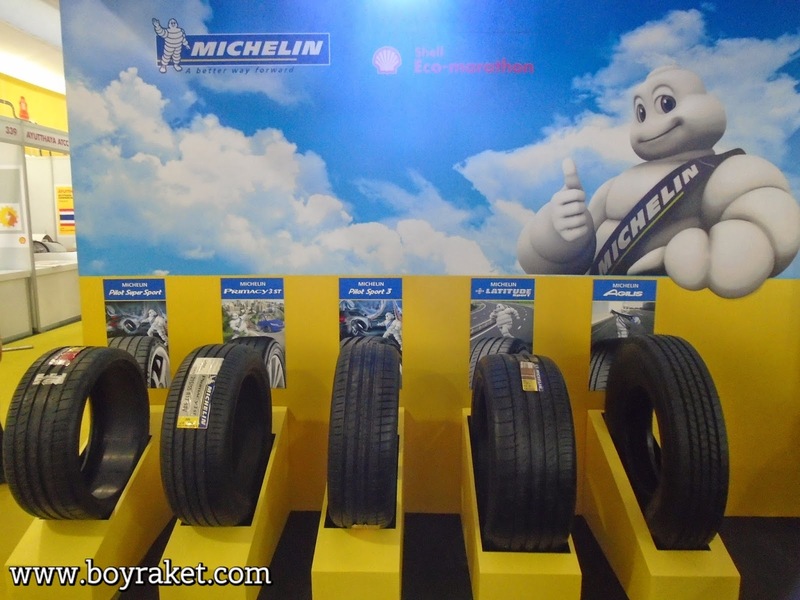 Michelin, in global partnership with Shell, welcomes back the Shell Eco-Marathon Asia (SEMA) for its second year in the Philippines at Luneta Park, Manila on February 26 to March 1, 2015. The MICHELIN tires for Shell Eco-Marathon are well-designed tires that are lightweight and provide low rolling resistance, providing optimal traction and longer travel time for the prototype vehicles. These tires are approximately 6 times more efficient than one of the best energy efficient tires on the market (MICHELIN Energy EV). MICHELIN will also be providing technical assistance and support to all the participant teams throughout the competition, by supporting them with safety advice and how to best utilize the tires for their vehicles to get the best performance. One in every 800 births; 1,875 cases a year; more than 100,000 affected families—those are the numbers revealed last year by the Down Syndrome Association of the Philippines Inc. (DSAPI) on the incidence of down syndrome in the country. According to DSAPI, down syndrome is a naturally occurring chromosomal arrangement that has always been part of the human condition, universally present across racial, gender or socioeconomic lines. It usually causes varying degrees of intellectual and physical disability and associated medical issues. In the event, DSAPI president Elmer Lapena and SM Cares Program on Disability Affairs head Engr. Bien Mateo will look back at what they had accomplished in 2014 and give the latest information on the state of down syndrome in the Philippines. 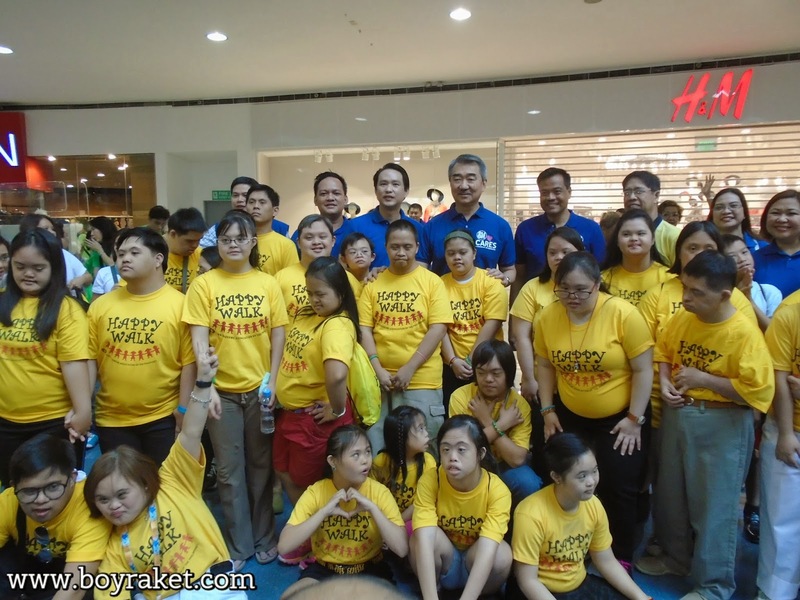 Happy Walk will be held on Sunday, February 22, 2015 at the Skydome of SM City North Edsa. The kickoff leg of this year’s Nutrilite Health Run held last February 22 at the Blue Bay Walk in Pasay City was a pleasant surprise even for return participants of this yearly fun running event. With the aim of staging a bigger and better event this year than in previous years, exclusive Nutrilite distributor Amway Philippines organized a post run mini-concert for finishers at the Blue Bay Walk. All these are in line with Nutrilite’s aim of promoting optimal health through proper diet, exercise and supplementation. 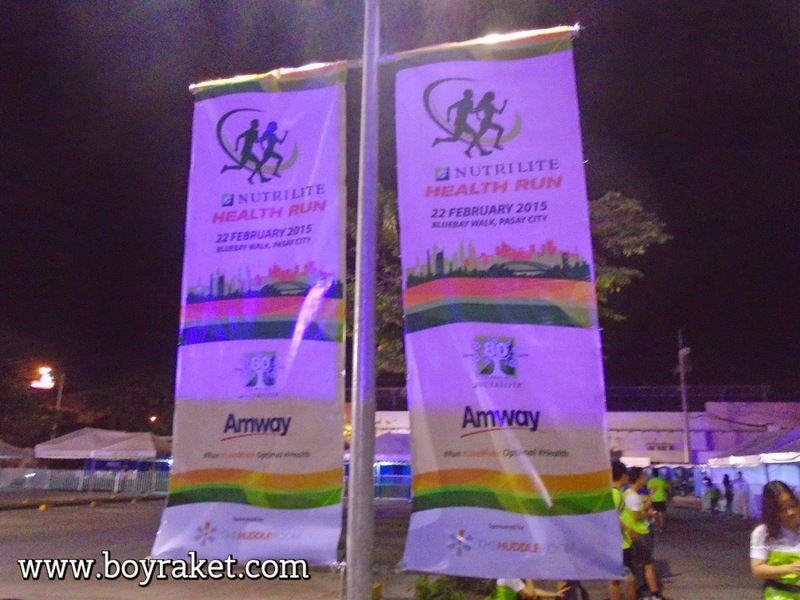 The Nutrilite Health Run is about encouraging as many people as possible to take up running as a regular exercise regimen, or a part of one at least. For most, running is the easiest and most convenient way to keep fit as it requires no special equipment or training to do. That is why the Nutrilite Health Run features a short distance category of 3k that appeals to neophyte runners, plus of course the 5k and the 8k categories. 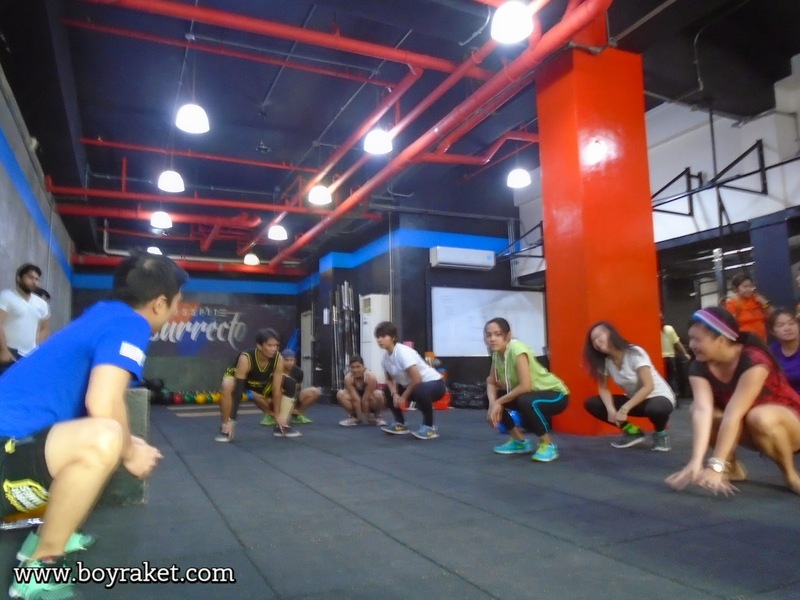 Because fun is a vital element of any fitness regimen, the mini-concert after the first leg featured the music of Sponge Cola. Honda Click 125i - The Scooter of the Future Has Arrived! Manila, Philippines, February 18, 2015-- Honda Philippines, Inc. (HPI) officiallyannounces the introduction of New Honda Click 125i, dubbed as the “future of scooters”. The Honda Scooter revolution continuous from the unique concept of Honda Zoomer-X which is the 1st scooter of its kind to Honda CLICK 125i which is another Philippines’ 1stscooter of its kind never seen before in Philippine market.This model will surely capture the hearts of every Filipino customer not only for the young generation but for the young at heart as well. Equipped with New Generation Intelligent 125cc global engine with cutting edge technological features developed simultaneously with other Honda-dominated-scooter countries like Thailand and Indonesia. “The Click 125i is our answer to customers who are looking for Environmental friendly Super Sports Scooter with superior specification, unbeatable features and “futuristic” design. Fortunately for Philippine scooter market, we are not going to wait for the future, but the future will be now with the introduction of the New Click 125i eSP”, says Elie Salamangkit Jr. – New Model & Accessory Development Manager of Honda Philippines. The Click 125i presents an aggressive and sporty design with a sleek and innovative look based on the image of the new engine featuring cutting-edge technology and an exhilarating ride, while projecting a“slim & sharp” futuristic image”. PGM-FI, a technology pioneered by Honda since the introduction of Honda CX500Turbo in 1982, the 1st in the world Fuel Injected Motorcycle is also used in this model. However, the innovation is not focused on the Fuel injection of this scooter. Every aspect that was developed in the Click 125i is Honda's effort in providing products that delivers better benefits and exceeds customer expectations. Honda’s dedication to provide the Joy of riding a motorcycle is clearly demonstrated in the use of the revolutionary HONDA SMART TECHNOLOGY.The Click 125i brings future technology to the present with cut-away innovations never seen before in the local motorcycle history such as Enhance Smart Power (eSP), Idling Stop System (ISS)and trendsetter Combined Brake System(CBS). 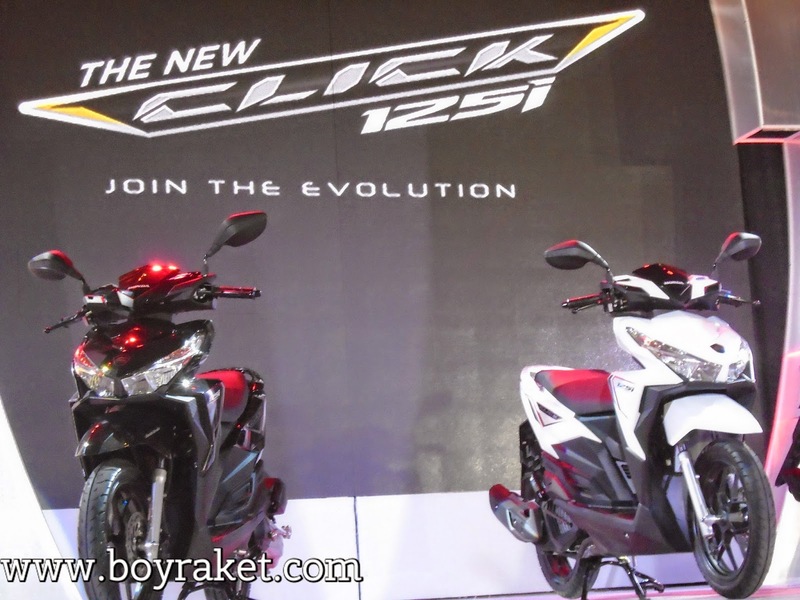 While it does not have a“sixth sense” and cannot predict your thoughts or where you want to go, the Click 125i, has its own version of eSP and knows what riders want from their scooters. Honda’s eSP or Enhanced Smart Power is an advance engine technology that combines high power and high fuel efficiency with a quiet start and smooth eco-friendly engine.eSP technology is able to maximize the efficient combustion and minimize friction to reduce the risk of waste, and to optimize the energy out. eSP technology is integrated with the Unique Honda ACG starter that is able to start the engine jolt free and with a more refined sound, as well as the basis for the application of advanced feature Idling Stop System (ISS). The benefit of Honda Smart Technology isfurther optimized with the advent of technology Combi-Brake System (CBS) which balances braking the rear wheels and front optimally. The Honda ACG starteris exclusively developed for comfortable frequent operation of the idling Stop System. The engine is started via the same AC generator used to generate electricity and charge the battery while riding. This eliminates the need for a conventional starter motor, thus there are no reduction gears and gear meshing noises… just smooth, quiet starts. The PGM-FI built-in Liquid cooled engine boasts of 8.40 kW (11.4PS) @8500 RPM maximum power and 11.16 N.m @6500 RPM maximum torque and delivers class leading fuel efficiency of 64.3 km/liter at 50kph or 58.9KM/liter under ECE R40 testing method *<Actual fuel consumption may be higher or lower depending on drivers habit and actual driving condition>. TheIdling Stop System (ISS) of the Click 125i is one of the reasons for its fuel efficiency. Compared to the conventional engine which continuously consumes fuel once the engine is started, ISS eliminates wasteful fuel consumption by automatically switching the engine off after 3 seconds in traffic lights and other brief stops; and when you have to move all you have to do is just to twist the throttle to Start up and Go in less than a second. In addition, the New Honda Click 125i eSP also features dependable Honda Safety and Security features like standard automatic Side Stand Switch where the engine does not start up when in the down position, and Brake Lock easily operated to prevent the motor jump when started or remains in the idle state when stopped on a hill.Bigger tubeless tires for better traction and more secure feeling and comfort compared to other brands. Another excellent feature is the ever reliable safety magnetic key (Magnetic Key Shutter) which effectively prevents theft and push-button seat opener. The New Honda Click 125ieSP also has the largest luggage capacity in its class at 18 liters which is capable of storing a Full-face helmet. Image of this Futuristic Super Sport Scooter is complemented by its Trendsetter LCD Meter Panel and class leading Dual Keen Eyes LED Headlight projecting a commanding “Night-Face-Image”.The LED headlight provides a better advantage for the rider through 80% higher light intensity, 80% more efficient power consumption, and longer lifetime. Finally, the Adoption of a wide range of low-friction technologies and Excellent Combustion Efficiency of this engine ensures Click 125i’s better fuel efficiency and better total all-around performance. With the latest technology and appearance, the All New Honda Click 125i is offered at a reasonable price of SRP PhP 87,900.00and available in 3 premium colors, Pearl Horizon White, Asteroid Black Metallic and Candy Rosy Red with Honda Genuine Accessories in selected Honda 3S shops. Battle Brew - Like Green Energy For The Body! Need more energy? Do you want to be thermogenic and boost your immune system? Kick virgin coconut oil to the curb and pick up energy that's 5x stronger!!! - Better Your Blood Chemistry - Helps maintain healthy cholesterol levels. - Boost Your Immune System - Helps lessen harmful bacteria, viruses and fungi inside the body. - Better, Healthier Cell Membranes - Serves as stable building block of cell membranes. - Easy Storage - No refrigeration required and liquid at room temperature. - Make Meals That Make You Better - Flavorless and easy to add into diet. Mix into any smoothie, soup, sushi, or most recipes. Battle Brew 100% MCT oil is extracted from only coconut oil in a time consuming process, making it the most potent MCT on the market. Medium-chain triglycerides (MCTs) work directly with cells to give them an extra boost and maximize performance. 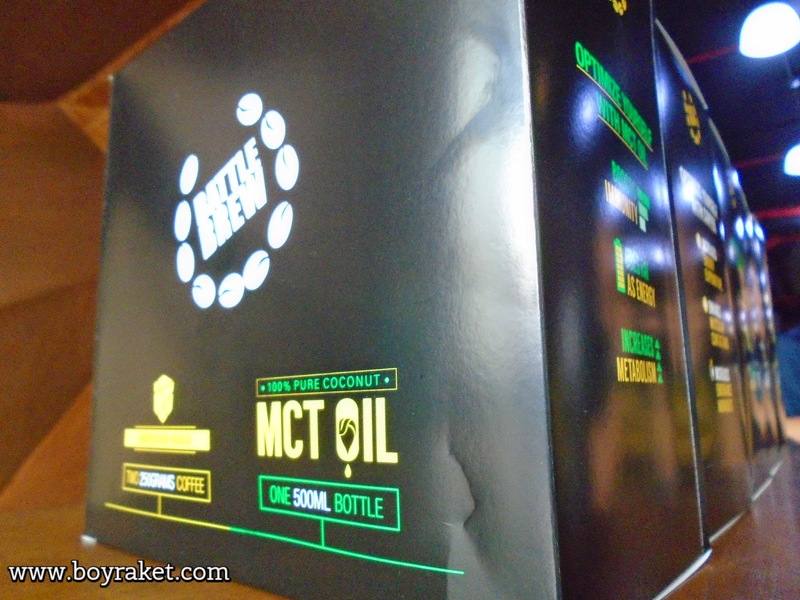 Very little MCT oil is stored as fat because the body energizes itself very quickly with it. Also got a chance to test the energy MCT Oil gives from the Crossfit Training/Challenge that we had Last week Valentine's Day, while most of my friends are dating me and my team went on stretching our physical limits and leveling up, pretty tiring but all worth it! 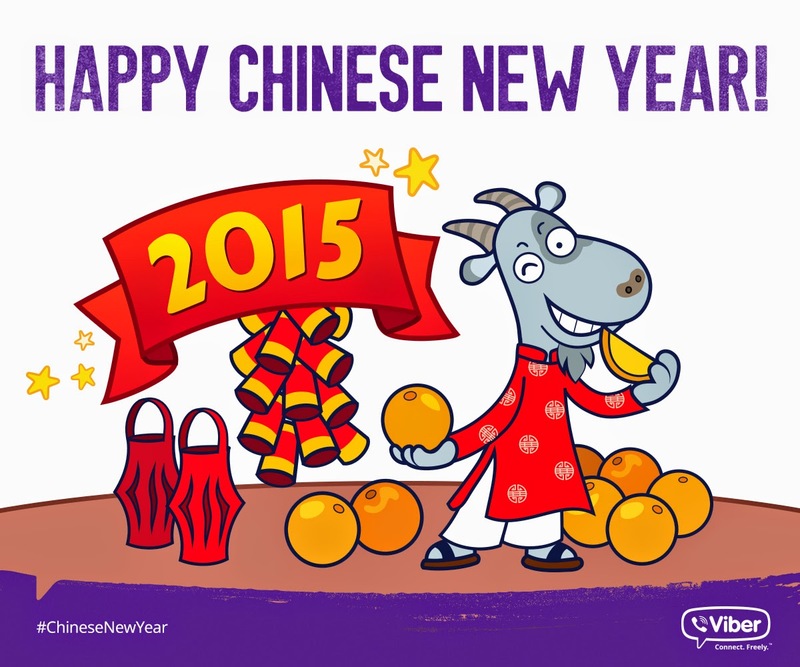 Users Can Now Share Fun Chinese New Year Stickers with Family and Friends to Celebrate the Spring Festival Viber, the leading OTT communications app offering free messaging and HD-quality calls, is joining in the festivities of the Lunar New Year. A specially designed sticker pack is now available to download, featuring a brand new sticker character as we enter the Year of the Goat. Considered the most important celebration in the Chinese calendar because of its rich cultural heritage and history, the Lunar New Year is centuries old and celebrated by over a billion of people worldwide. The ‘Happy 羊 Year’ pack - Happy Goat Year - features 16 vibrant stickers which celebrate everything about Chinese New Year and the festive season. Each sticker reflects key celebrations and traditions observed by Chinese communities during the Spring Festival. This pack is for Chinese communities around the world as well as anyone (or Nationality - eg Thais - to be inserted per market) who wants to wish their (Chinese - to be inserted per market) friends a marvelous new year. From special greetings and hong bao giving (and receiving!) to sharing messages of prosperity, there is something for everyone – the perfect way to spread the Lunar New Year vibes. Viber provides a new way to enjoy the celebrations with loved ones far and near. The Chinese New Year pack offers greetings in multiple languages including Mandarin, Cantonese and English. The red and gold pack has plenty of stickers embodying some of the key customs. Win a Race Kit For Yourself this Sunday! 3. 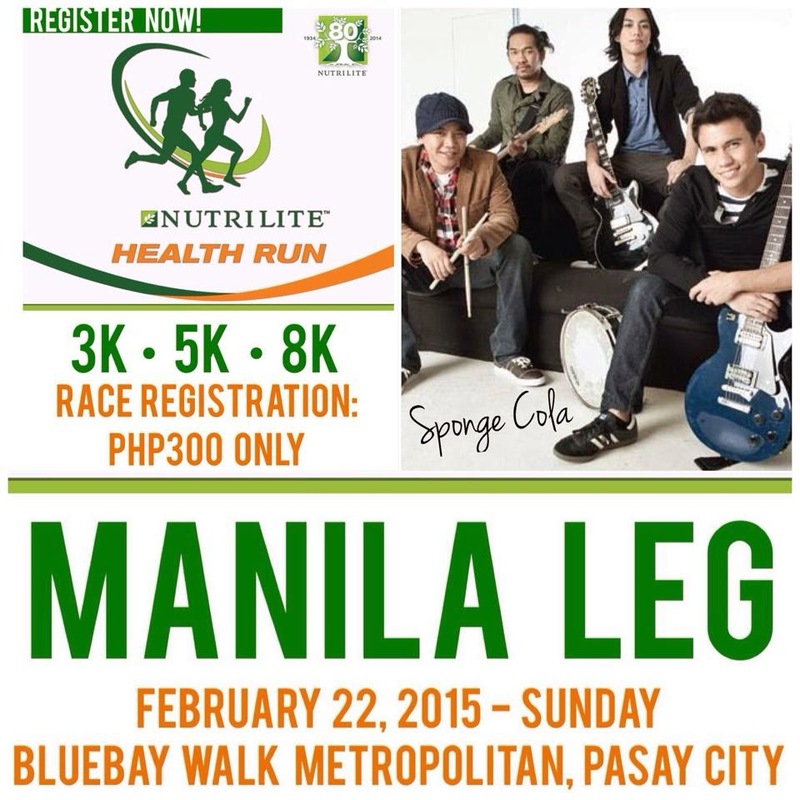 Include '"I want to be in the Nutrilite Health Run this Sunday, Feb. 22 at the Bluebay Walk in Macapagal. Join me, Onsite registration is available starting at 3AM. #NutriliteHealthRun2015 #BoyRaket"
Winners will be messaged on Saturday Afternoon. Goodluck! Winners will be determined Via Hash Tags. Essilor announced that Piolo Pascual will be their brand ambassador and heading the campaign for “Seeing the world better”. A sportsman and a known health buff, Piolo believes prevention is the first step towards healthy vision. “Good eye health is a serious matter because it is essential to performing practically all our daily tasks. Without good vision, we can only do so much and this limitation can stand in the way of achieving our goals.”. Piolo Pascual who will appear in Essilor’s latest TVC and educational materials. Essilor launched its latest infomercial featuring brand ambassador Piolo Pascual performing various activities – swimming, reading, driving – and how good vision helps him accomplish these tasks effectively. The newest TV ad will air on March 1, at primetime slots on select cable channels. “Essilor’s ‘Seeing the World Better’ campaign is our company’s way of helping the world see better by raising awareness about the importance of healthy vision and address the alarming number of visual impairment cases in the country. We also hope that through this campaign, Filipinos will start paying more attention to their eyes so they can see the world in a clearer and brighter view,” Dr. Roleda added. Correction: promote the initial purpose of Essilor which is to help correct eyesight. Dr. Roleda cites the plethora of electronic devices that we are exposed to everyday, which emits harmful blue lights that damage the retina. 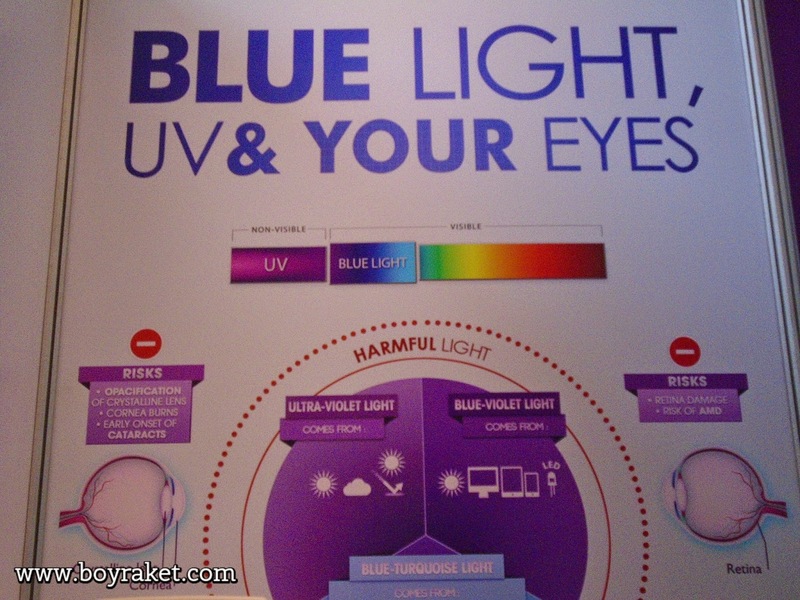 “Repetitive exposure to blue light posts threat to our eyes. It may cause oxidative damage, and may be responsible for causing age-related macular degeneration, which can result to blindness.” Wearing protective lenses like Crizal Prevencia, she adds, can do a lot in preventing the detrimental effects of harmful blue light. Crizal Prevencia is the only clear lens that selectively filters harmful blue light from gadgets, LED and UV light while letting through the healthy blue light. Ultraviolet (UV) rays, on the other hand, contribute to the development of cataracts. Wearing Crizal Forte UV lenses can protect our eyes from these harmful rays. For those starting around age 40, our eyes can gradually lose the ability to focus on nearby objects; this is an unavoidable condition but it can be corrected, says Dr Roleda. “Essilor Varilux progressive lenses offer a smooth transition from distance vision through intermediate vision to near vision. This means that instead of having just two different viewing zones (near and distant), like with bifocals, Varilux provides the most natural vision correction,” said Dr. Roleda. Founded in 1972, Essilor is a worldwide leader in developing and manufacturing ophthalmic lenses, lens coatings and dispensary technologies. Premium eyeglass lenses from Essilor are the result of more than 150 years of advanced research, innovation and technology. A true leader in innovation, Essilor revolutionized the vision correction industry in 1959 with the invention of the world’s first progressive lens. The brand provides consumers and the eye care professionals with quality spectacle lenses, diagnostic tools, services and support in business. You can also check www.essilor.com.ph for more information about Essilor. Darren Espanto Of The Voice Kids And His Album! He sings, he dances – a total performer in the making. Darren Espanto stood out among the first harvest of young belters and crooners of The Voice Kids. He flew all the way from Canada to make something special happen – to be the artist the country will be proud of. It was evident that even at an early age, Darren picked up melodies easily and sang along to different types of songs. His family helped him nurture his talent until he was able to discover that he’s more than just a singer. His grandma agreed and encouraged Darren’s family to try out for The Voice Kids. It wasn’t an easy decision to travel all the way to Manila but all their efforts were worth the journey. A turn from Coach Sarah Geronimo was all it took for the young performer to clinch second spot in the final. Even if he didn’t win the grand prize, everyone definitely noticed. During and after the competition, Darren raked in fans from all over the world, consistent in the trending topics list, and with millions of online views – he is an instant star. And he is just extremely grateful of the support of his family and fans. “I am lucky po because I have this talent. They [My family] always tell me that it is a blessing and I should be thankful of it,” The 13-year old teen from Calgary has more reasons to be appreciative of all the wonderful surprises that come his way. He has already checked sold out concerts, tours around the world, and an album (The Voice Kids The Album) off his long list of achievements. “I am very flattered po kasi nabigyan na po ng katuparan yung dream ko.” Add to this his first ever solo record under MCA Music simply titled “Darren”. It features the carrier single “In Love Ako Sa ‘Yo” composed by Vehnee Saturno. 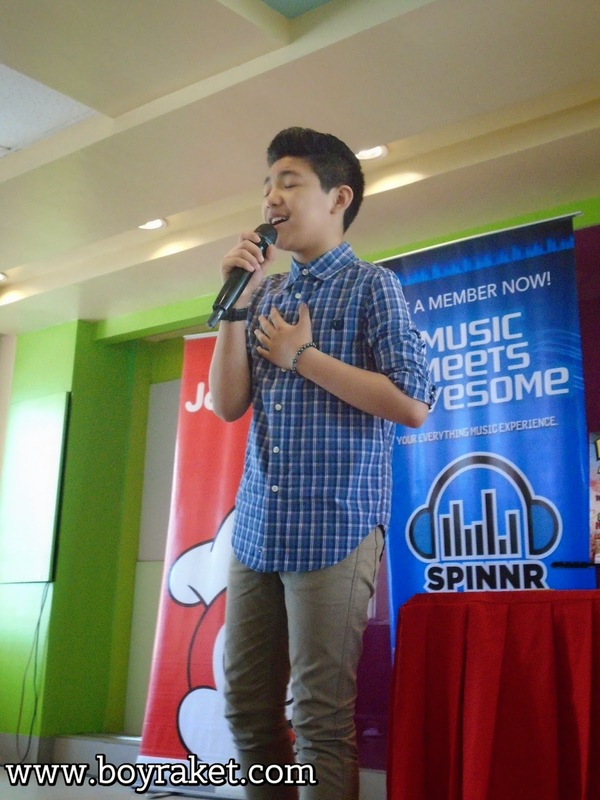 The hitmaker composer also contributed 3 more songs that fit Darren like “My Girl”, “Ewan Ko” and “Ah! Basta Gusto Kita”. Not to be missed are the tracks written by foreign composer like Keith Martin & Deon Hairston (“You Are The Only One”); Adrian Rezza, Lucas Rezza and Carvin Winans (“I Believe In Me”) as well as Filipino-American Brad Go (“Makin’ Moves”) and Filipino composer Kennard Faraon (“Stuck). Also included is the studio version of “Domino”, a song he performed during the blind audition. The packaging comes off as like a magazine with different pictures of Darren and a mini-standee inside. “This is my gift to all my fans that supported me throughout my The Voice Kids journey and I hope it will also open up to new supporters and listeners,” Darren said. Darren is close to fulfilling his international career but there’s something about home that keeps him more driven to perform here. “Canada naman po will always be there. For now, sa Philippines na po muna ako,” He wants to use his singing as means of giving back to all the young Pinoy dreamers to pursue performing just like he did. “Gusto ko po makapagbigay pa ng maraming inspirasyon sa mga katulad kong bata. Makapagpasaya ng todo-todo,” With talent like Darren’s, the world seemed to fit in the palm of his hands. It’s exciting to see him grow into the likes of Gary Valenciano or even like his idol Michael Jackson. But he is geared to become the artist he’s dreaming to be. It won’t be long until Darren Espanto becomes a household name, proudly representing the country in the world stage. “Darren” is now out under MCA Music (Universal Music Philippines) on CDs at Astroplus and Odyssey outlets. It is also available through digital downloads via spinnr.ph and iTunes and streaming via spinnr.ph, Deezer and Spotify. “Darren”, the press conference is presented by Jollibee. Yes! There Is Such A Thing That Is Called Perfect Coke! For more details on the #PerfectCoke and how to chill one on your own, check out the official Facebook, Instagram, and Twitter accounts of Coca-Cola Philippines. 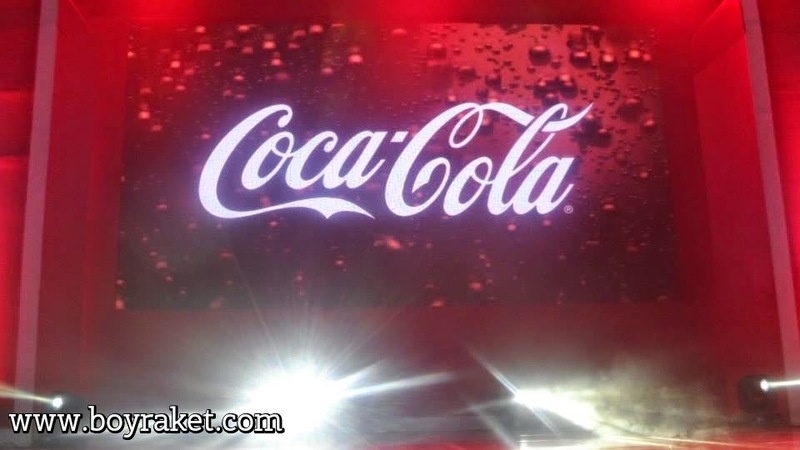 Feel free to post about your #SarapNgFirst time taste of the #PerfectCoke experiences online. 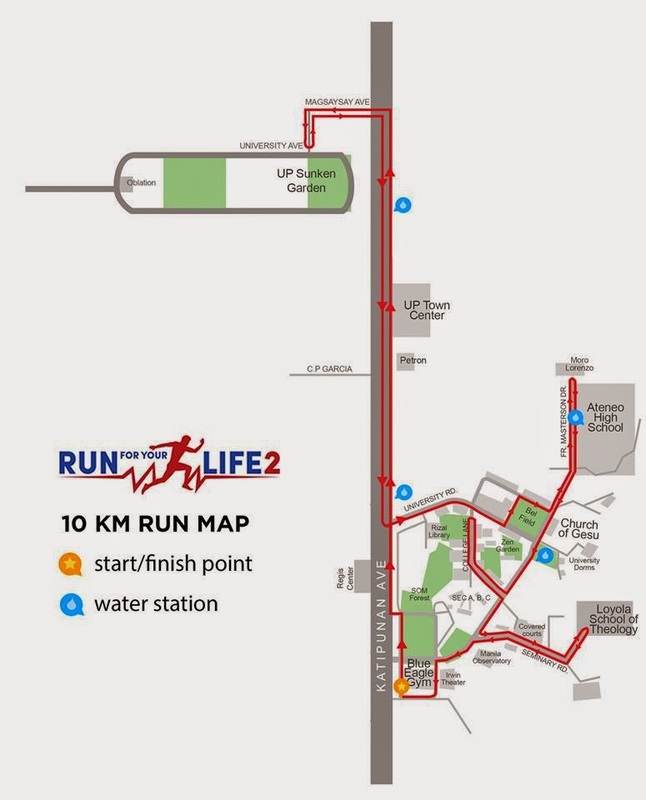 Details: Run for Your Life 2 (RFYL2) is a fun run with 16km, 10km, 5km, 3km, and 500m race categories. 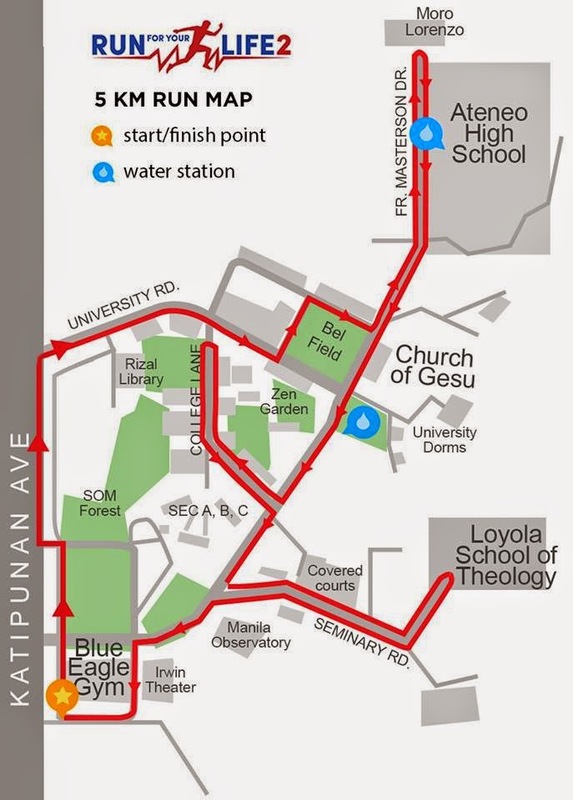 Starting point will be at the Blue Eagle Gym of the Ateneo de Manila University, Katipunan Avenue. 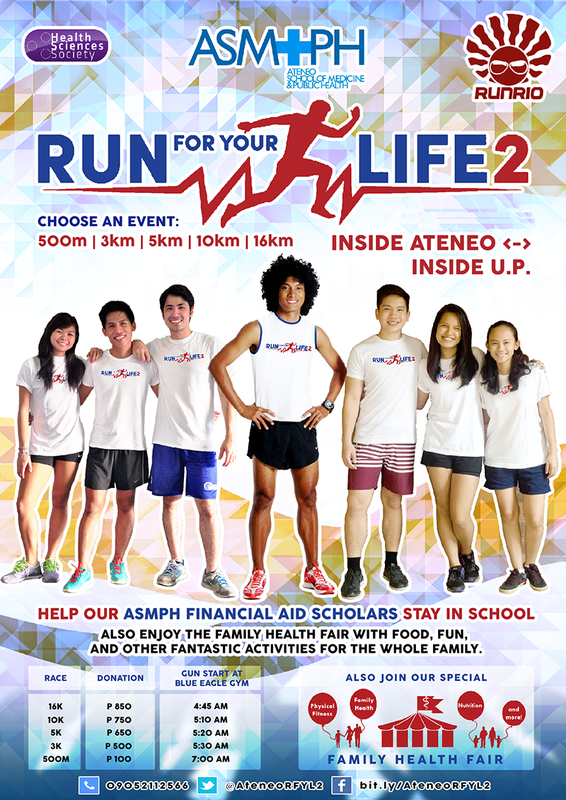 It is a fundraising event for the benefit of financial aid scholars of the Ateneo School of Medicine and Public Health (ASMPH). 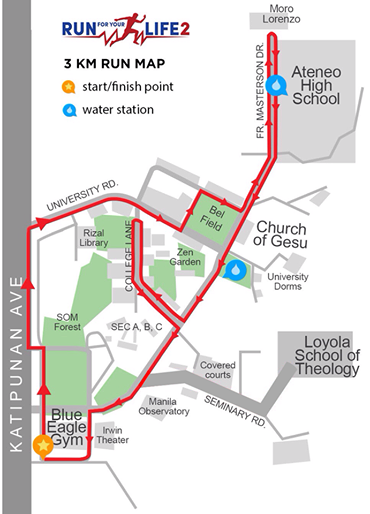 The route of the run will be held around and between the Ateneo de Manila University and University of the Philippines campuses on Katipunan Avenue in Loyola Heights, Quezon City. In addition to the fun run, a Family Health Fair will be held simultaneously to promote an active and healthy lifestyle among non-professional runners and family members. Honda Philippines Inc. launches another version of its popular and versatile On/Off motorcycle, the Honda XR150L. The Honda XR150L furthers the On/Off Road Honda Legacy that began in 1977 with the XL 125 K 3, and has continuously evolved through the years introducing innovations both in power and fuel efficiency. “The XR150L is our answer to those who are looking to step up and push themselves further to test their limits either for work and adventure, says Mr. Ghilbert Cababa – Advertising Group Head. “With the improvements we’ve made to the XR150L, we are very confident that this is the motorcycle they need to reach that next level. The new Honda XR150L is the step-up of XR125L, taking its best features with updates to create a package that combines rugged durability with low operating costs. For starters, the Honda XR150L simply looks stunning. It now sports a more CRF-inspired design as compared to its predecessors. Fresh styling includes a new headlight design with protective shield for better illumination while a futuristic meter panel gives you more information to make your ride safer and improved front & rear winker to a sporty design for added attraction. The seats also get an ergonomic makeover providing more On/Off riding comfort even during those long rides. Practical and useful, the XR150L adds a multi-functional grill that lets you carry everything you need. There’s also a new internal engine balancer which reduces vibration and will result in greater rider comfort. Honda’s XR150L also boasts of a more powerful 150cc engine, which hosts a range of improvements beginning with an offset cylinder that utilizes the same technology with CRF250L for efficient transmission of explosive power and but with better fuel efficiency. The Honda XR150L likewise requires less attention and enhanced reliability and safety with its larger air cleaner and a sealed, maintenance-free battery. The Honda XR150L is also equipped with an electric start and a backup kick starter. Besides all the visual and engine improvements the new Honda XR150L also has several advantages over similar motorcycles in its class. It has a seat height of 825mm which is suitable to the average Filipino height while its 1362mm wheelbase provides better handling and drivability. It has the highest displacement of 149.15cc and a maximum torque of 12.5Nm @6000rpm that provides power and torque to easily reach max power at low rpm. The XR150L also has a 12L fuel tank capacity which is good for long rides. The Front tire size 90/90-19 and rear tire size 110/90-17 makes the best balance for On/Off (50/50) driving condition and the front disk brake diameter 240mm is also bigger for better braking power. The new Honda XR150L comes in red & black colors and is now available in Honda dealerships nationwide at SRP P83,900.00. This may sound a little weird for me. Why?! I don't know, is this the father of the known fast food chain? Or maybe not. Well, what I can say is I got definitely full from dining in this great Chinese Restaurant, so if chinese food is what you're craving for and your near their place then you can definitely check them out. 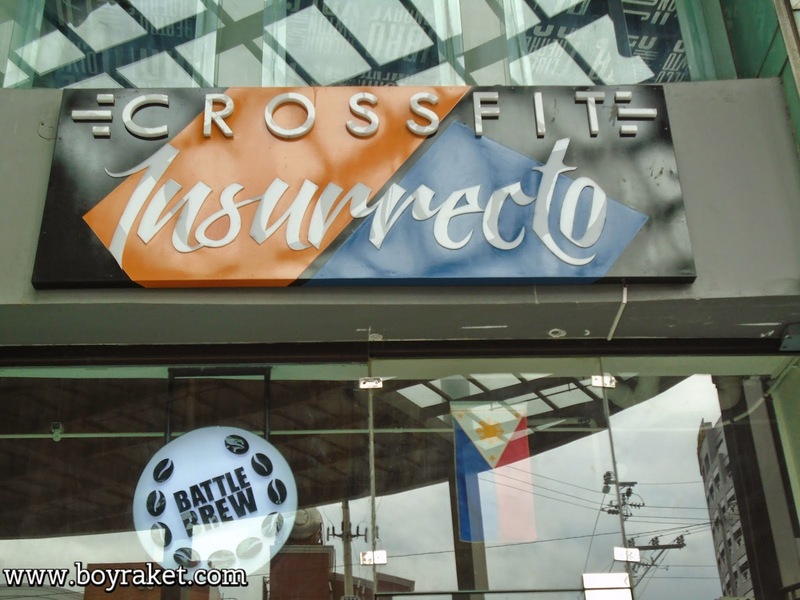 What we tried was their Commonwealth Avenue Branch in Quezon City. I get to taste good food in there, we had Jasmine Tea, Cold Cut sampler (pork asado, century egg, seaweed etc.) Mixed Seafood with Polonchay Soup, Seafood Hofan Noodles, Shredded Beef Tenderloin in Sliced mango, Yang Chow Fried Rice, Sautéed Prawn Balls in Salted Egg(personal favorite), Lechon Macau, King Bee Fried Chicken and a Fruit Platter. and just like what I always say on my food review post, I'm a carnivore so I obviously didn't try the Fruit Platter. Don't you just like it if that the someone working on your face is an expert? I was again fortunate to be part of the blog group to try out Above Aesthetics service. It was rather a different experience because we were given a chance also to have some sort of seminar or lecture on beauty, reconstruction, wellness and cosmetic surgery all in one place. What we experienced was something really good. Imagine! a non invasive facial, but it was rather relaxing and you can even fell asleep while being in there. We get to have a 5 in 1 facial service with diamond peel that uses real diamond(unlike others). The experience also made me feel special because Dra. Rada Apostol is also responsible for taking care of known figures in our Showbiz industry, although she's not making them as models because as she said she's not doing it for the money alone but for the satisfaction of her clients because she personally attend and operates her cosmetic surgery clients and gives after service follow ups in the process. I personally like the way that Dra. Condrada "Rada" Apostol's approaches. She custom fit what the client needs and not what he/she wants which works better most specially to her client and boy the results were astonishing! We were able to take a glimpse of some of some of her clients in her tablet and was amazed on how she did it, there is one particular that stands out in my mind that made her client look like Ellen Adarna, but don't get me wrong, as she said that she can make adjustments according to her client's features and will tell them if what they want is going to be possible. This are the above services that they have in their clinic. 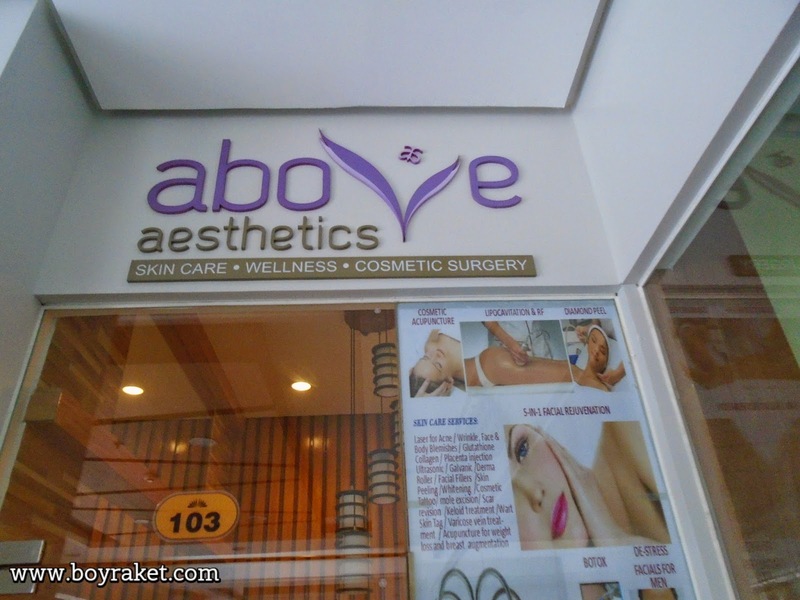 Above Aesthetics is at Unit 103 Ground Floor, Corporate 101 Building, Mother Ignacia St. corner Sct. 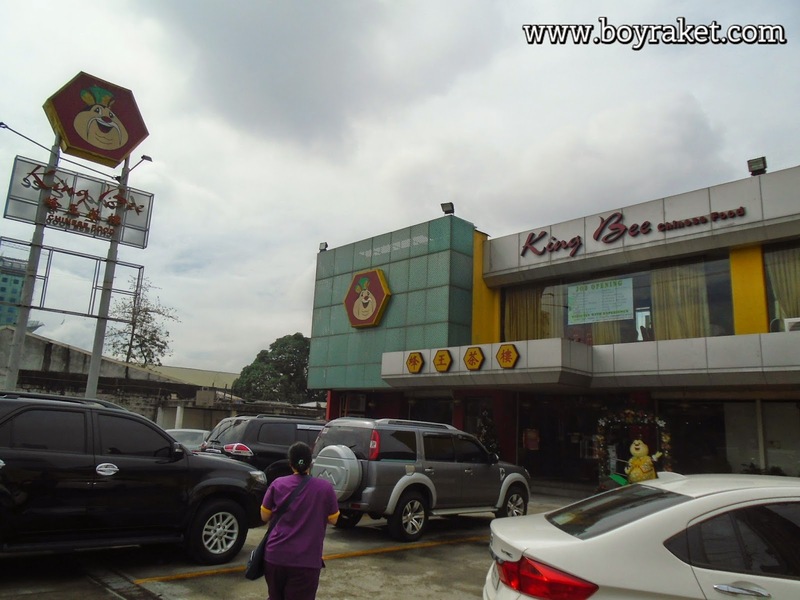 Madrinan, Quezon City (at the back of Burger King, Timog) Tel: (+632) 376-2664 Mobile: 09057008418. 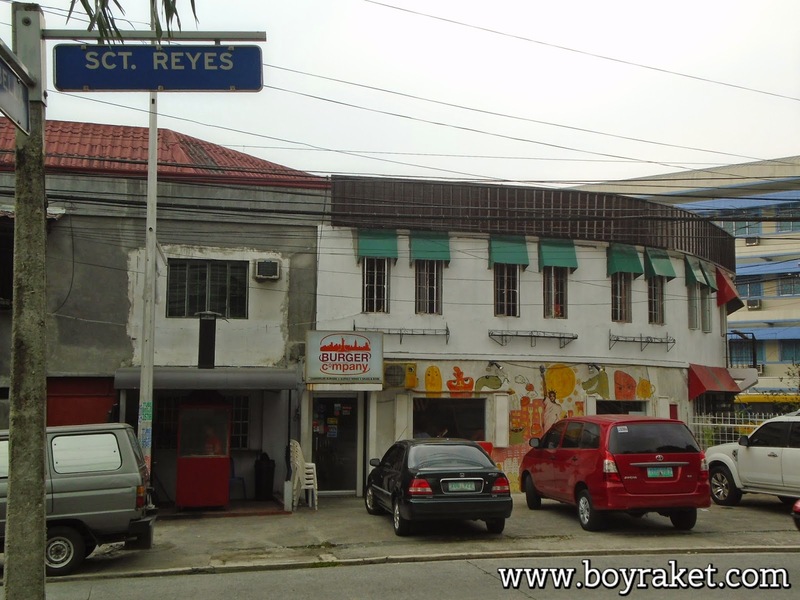 And for helping out so you can get a discount out of their regular price, you can tell them that Rey Esteves 'Boy Raket' of www.boyraket.com referred you. How many percent of your friends have you been seeing in your Facebook wall? And how many of them do you think needs some slicing down? Not to be rude or anything but I believe we all need to be in this perspective of getting more healthy by being slimmer, at least nowadays there are more gyms near your place compared to what it use to be 10 to 20 years ago. This is just me, and I admit that I'm no expert but from what I understand, we all need exercise whatever your size may be, and I also believe that it is easier to do that if there are lesser weight that we need to carry along the way. 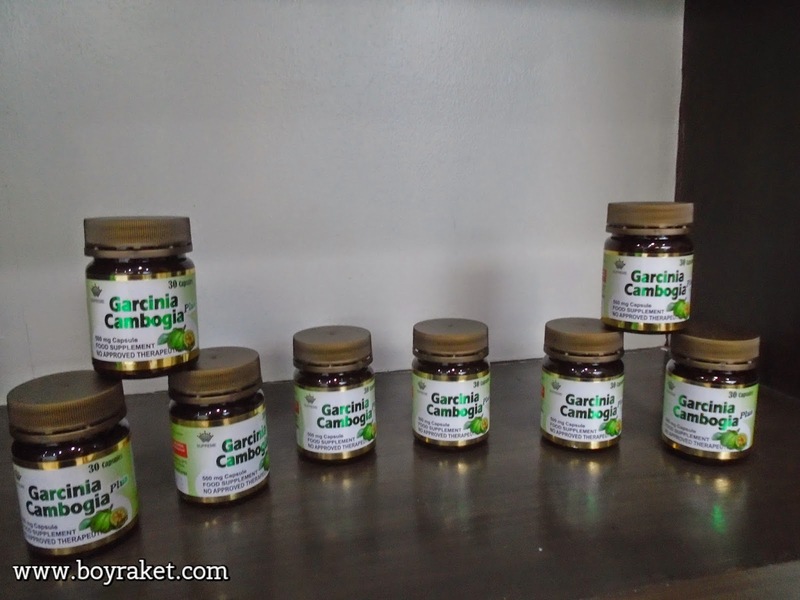 I may have one of the alternatives that can help, a product of nature that is called Garcina Cambogia. Garcinia cambogia, a tropical fruit also known as the Malabar tamarind, is a popular weight-loss supplement. People say it blocks your body's ability to make fat and it puts the brakes on your appetite. It could help keep blood sugar and cholesterol levels in check, too. Contains hydroxycitric acid (HCA), which has been clinically shown to suppress appetite, inhibit fat production, increase fat burning and increase weight loss without stimulating the central nervous system. One of the companies that I found out that distributes the kind of suppliment extracted from this fruit is Supreme Business Solution Worldwide which is a Filipino owned company and also helps out Filipinos on getting healthy. 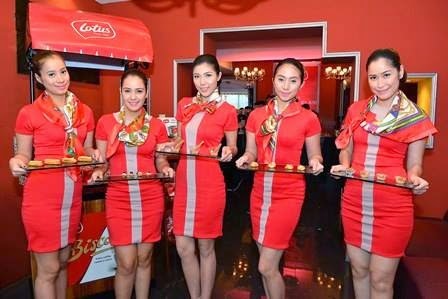 Hosted by Daphne-Osena Paez, the launch was held at the posh Society Lounge in Makati, transformed into a luxurious red airport lounge. Guests with their boarding passes cued in airport terminals for check-in. Attendants, clad in designer Pia Gladys Perey, greeted them upon arrival. 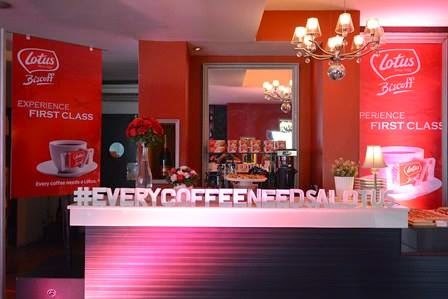 A truly first class experience, overflowing coffee was served by Allegro Beverage Corporation upon seating and dishes were carefully prepared by Chef Patrice Freuslon. As the program started, everyone was just about excited as Fly Ace Corporation President Jun Cochanco and Lotus Bakeries International Distributors General Manager Bart Bauwens who shared how the partnership started and their plans for Lotus Biscoff in the country. A highlight of the event is the Biscoff Creations of Tiny Kitchen’s Vicky Veloso-Barrera. Her interpretation of the Lotus Biscoff biscuits and spreads include Mini Biscoff Cinnamon Rolls, soft bread glazed with Lotus Biscoff spread and topped with toasted almonds. Mini Biscoff Cupcakes is a perfect recipe for first-time cupcake bakers as its main ingredient is a simple dollop of Lotus Biscoff Spread Crunchy and Biscoff crumbs. Another creation is the Crazy Biscoff Parfait, a lavish dessert of sponge cake, mascarpone, and Lotus Biscoff Spread Smooth. The unique taste of Lotus Biscoff comes from the sugar’s caramelization during the baking process. A hint of cinnamon and other spices add that special twist. If these crunchy biscuits do not satisfy your craving, then you wouldn’t be able to resist Lotus Biscoff spread. The sweet, creamy, European spread is an alternative to nut butters and chocolate spreads. It is the only spread made with original Biscoff cookies. Have it straight from the jar, lather it on toast, mix it with fruit slices, or add it as a secret ingredient to your favorite recipes. Both the cookies and the spread are made with no artificial color or preservatives, 0 grams trans-fat per serving and zero cholesterol. It has no nuts and is completely non-GMO. Lotus Biscoff biscuits and spreads are just the perfect treat for the timeout that you deserve. Fly Ace Corporation Product Manager Emie San Beda invited everyone to discover Lotus Biscoff, “Filipinos love coffee and we can see this in the variety of artisanal and commercial coffee shops. 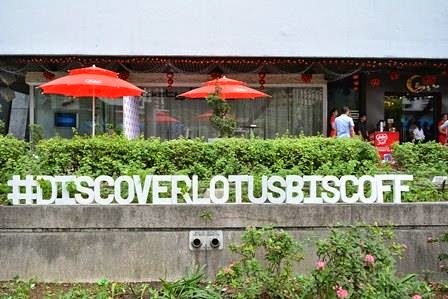 We love sharing this experience with friends and family, talking over sips of coffee and a bite of Lotus Biscoff will surely make it even more memorable.” Just as its European counterpart, Lotus Biscoff will be doing massive sampling in coffee shops all over the country, as well as in premium lifestyle events were coffee is enjoyed. 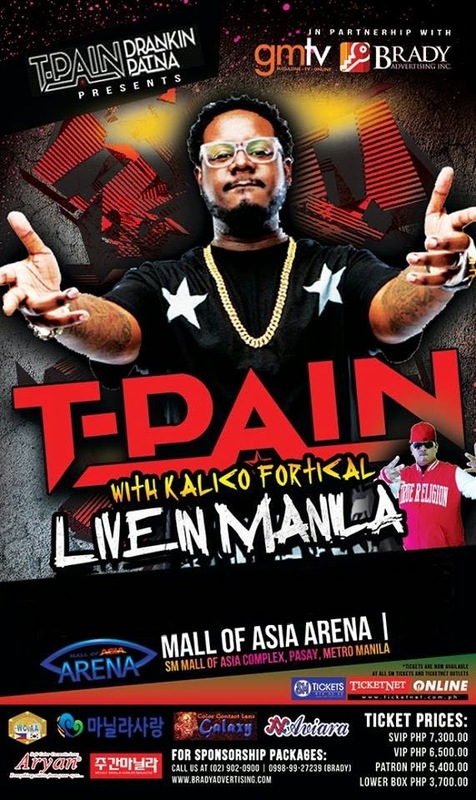 We all know that T - Pain will be here in Manila soon and is up on putting up a big party in SM Mall of Asia Arena this February 2015, and we have the kick off party to make that noise, more than a week ago I was lucky to be invited in one of their Kick Off Party that was held in Angeles Pampanga, and boy it was hot, what else can I say if you'll get a better package of not only partying with our local rap artists but with the models of a premiere men's magazine! 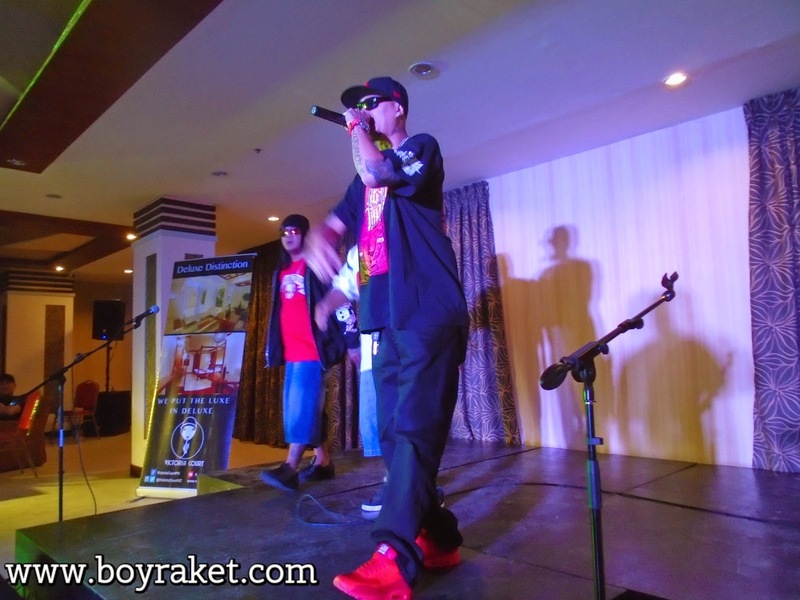 To Start off, local rap artists warms up the crowd and after a few sets there came Death Threat and Salbakuta singing their all familiar singles and so as their new release rap songs. Salbakuta even encourage the audience to sing their lyrics of there famous rap called 'Stupid Love' which I think is rather timely although not on the sweet part of Valentines. 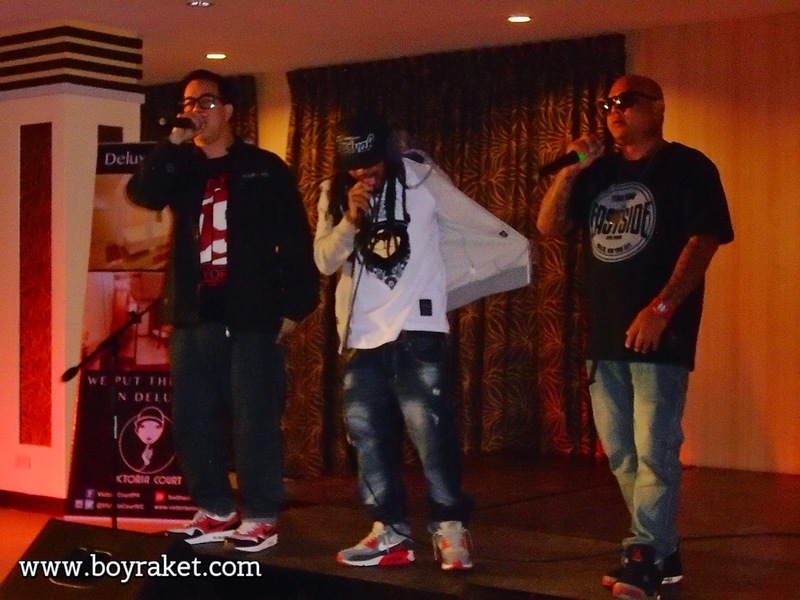 And lastly all the way from California they have Kalico Fortycal which will also be performing in T-Pain Concert. T-Pain, an American R&B singer and rapper, consists of four studio albums, forty-two singles (as lead artist, and featured performer), three mixtapes, and thirty-six music videos. Up Down (Do This All Day) feat. B.o.B, Together with Flo Rida- Low, Bartender AkonFeat.-T-Pain and Booty Wurk would just be some of the hits that we like listening to. You can also check https://www.facebook.com/mallofasiaarena for the concert schedule. The thing that I've noticed was the grilling area outside the store, and I personally saw how they grill the burger patty. An awesome place in the first place for me especially if your a person that likes to play board games, I tell you, there will be a lot of those that you can choose from in this place! Burger and Board Games, 'What a combination!'. Let me give you an idea of the burgers that was served to us. From the most familiar American Classic Burger to the sweetest and hottest that they can serve. 'Oh My! They even have a sauce that they call Global Warming'. My personal favorite is their The Stricker's Burger which is the meatiest for me with crisscut fries and bacon, that was really mouth watering, we were given a taste of their best burgers or what they say are client favorites. American Classic Burger, Gorgonzola and Mushroom, Bacon and Egg(if spicy is your thing this is highly recommended), The Volcano, Homemade Bacon Dippers, Homemade Onion Rings, Green Chile and Sour Cream, and Slam Jam which is a double with your choice of Buffalo Classic Sauce and you can also choose the Level of spiciness from level 1 to 4. Single but not alone? 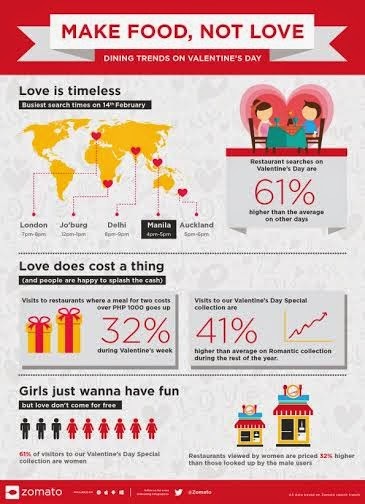 Tag along your friends this Valentines Month and try a different adventure not just for lovers but for the entire gang. 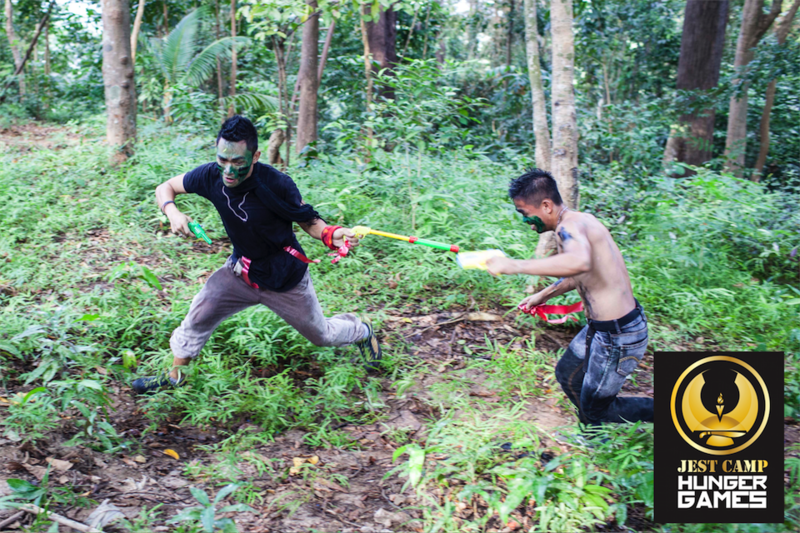 Jungle Environment Survival (JEST) Camp Subic gives you the chance to participate in an ALL NEW OUTDOOR EXPERIENCE! Jest Hunger Games a non-combat course that is both safe and held, and yet also an exciting adventure where participants learn to survive in the wild like the characters in the Hunger Games books and films. 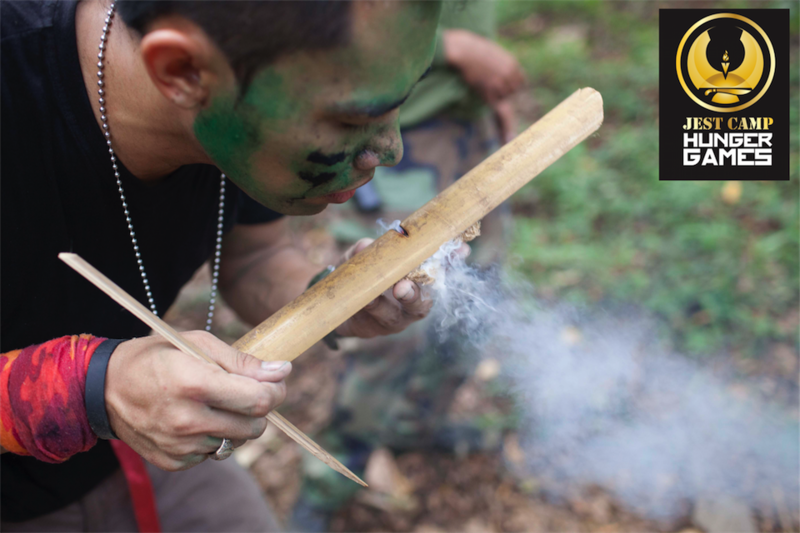 A unique and powerful experience of nature, far from the world of traffic, computer screens and mobile phones, participants will be taught jungle survival skills to make and cook over fires, build shelters, sneak/stalk and finally to try and win the Games and become “the Victors” . New skills, adventure, immersion in the jungle, intensive teamwork and a whole lot of mischief means this promises to be a truly unforgettable experience. The #JestHungerGames will be a two part session. Each participants has to go through an intensive training at the Training Camp. 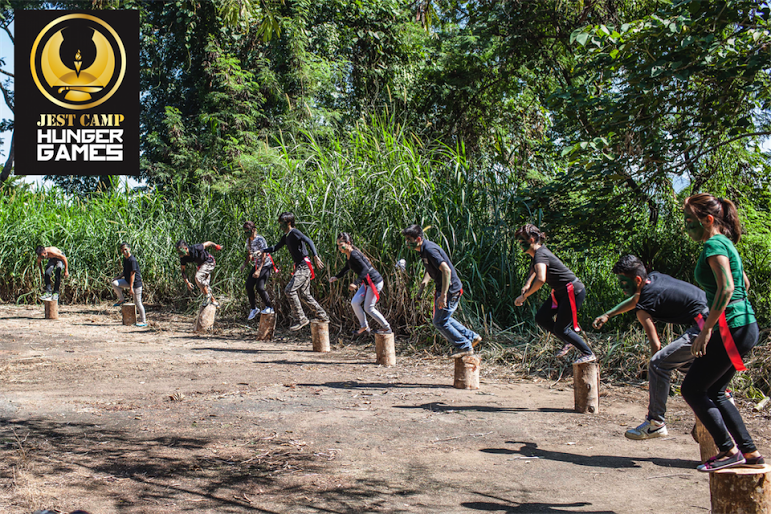 Just like in the real Hunger Games, you arrive at our 'Capitol' and train for half a day in our 'Training Camp'. Skills include learning how to make fire, using bow and arrow, sneaking/stalking your opponents, camouflaging yourself and even winning sponsors to get extra lives in the 'Arena'! In the afternoon, get blindfolded as they lead you to the arena (yes, you won't have any idea what it will look like just like in the Hunger Games!) and only remove them as they start the 10-second countdown and get first hand experience of getting your survival tools from the Cornucopia (filled with water guns, water bombs, food, water and other surprise supplies)! Fight to the 'death' by grabbing the 'lives' of your opponents. The last man standing will be crowned VICTOR! You can experience Jest Hunger Games for only P999 each, with a minimum participants of 10. This is open to ages 13 years old and above. Will you be willing to take the challenge? Who knows you might be crowned to be the Victor! JEST CAMP is located at Upper Mau, Cubi-Triboa, Subic Bay Freeport Zone. 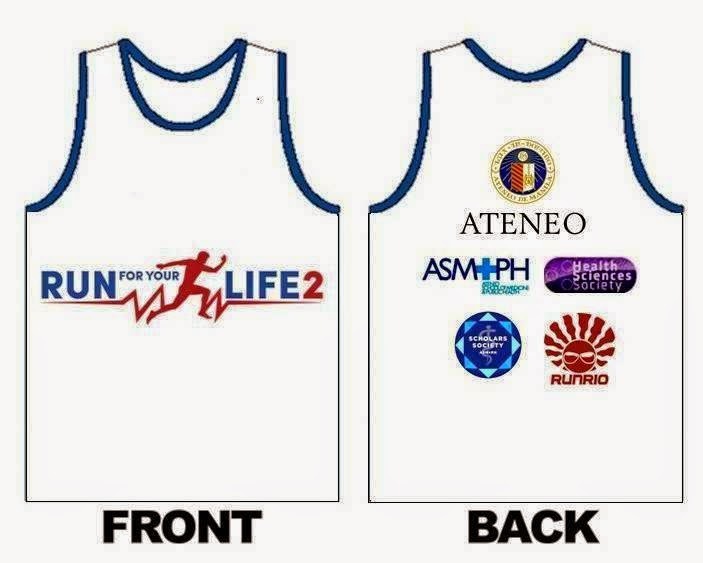 LEZGO RUN on March 15, 2015!